Healthy girl problems: having to decide between chia seed pudding and a berry smoothie for breakfast. Well. 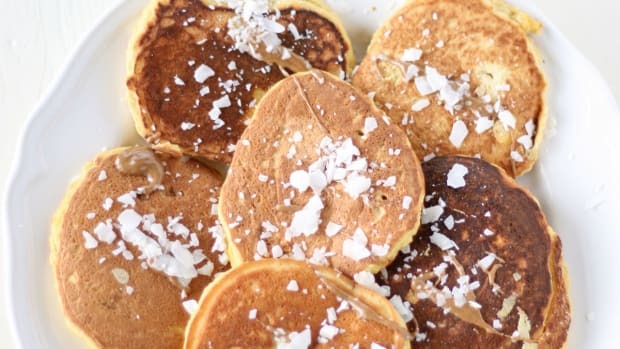 we’ve got good news and the healthiest hack ever: combine the two and never compromise on your breakfast again! 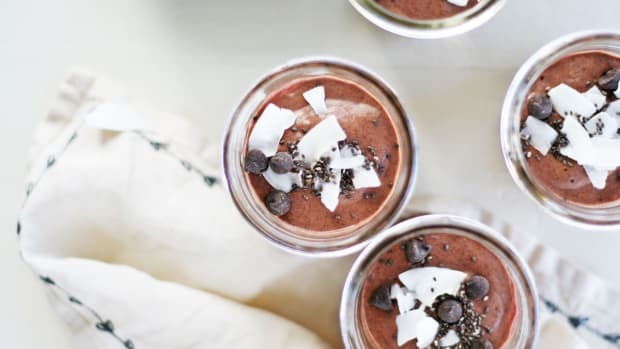 Layering a seasonal berry smoothie between sweet chia seed pudding is not only Instagram-worthy, but a nutritious way to reap body-loving benefits. 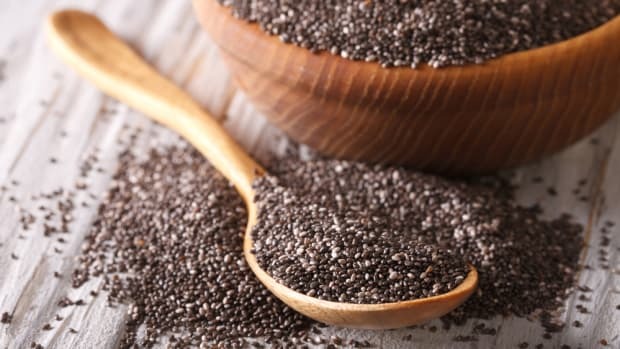 Along with providing fiber for days, (11 grams per ounce, which provides 42 percent of your daily-recommended intake) chia seeds are one of the easiest ways to incorporate more whole foods into your diet. 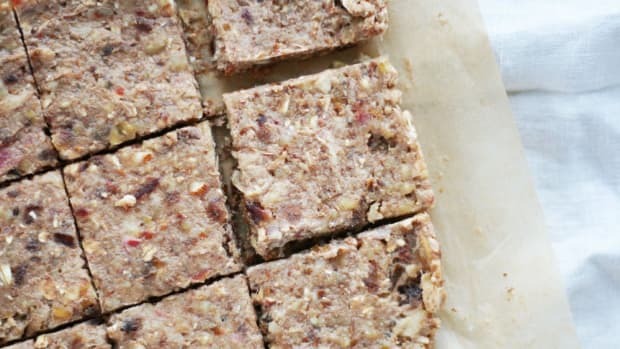 Because of their extreme versatility in the kitchen, they can be used to thicken up a variety of dishes including oatmeal and overnight oats, soups and sauces, fresca drinks, and of course, used to give oomph to chia seed pudding. 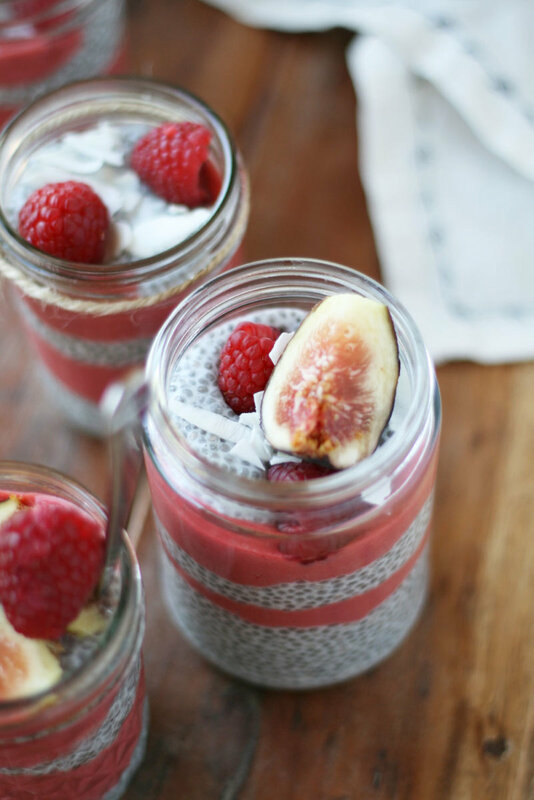 If you are new to the world of chia seed pudding and a bit weary of where to start, fret not – chia seed pudding takes mere seconds to throw together and is nearly foolproof. All you’ll need is a milk of choice along with an optional sweetener for extra flavor and a few tablespoons of chia seeds. 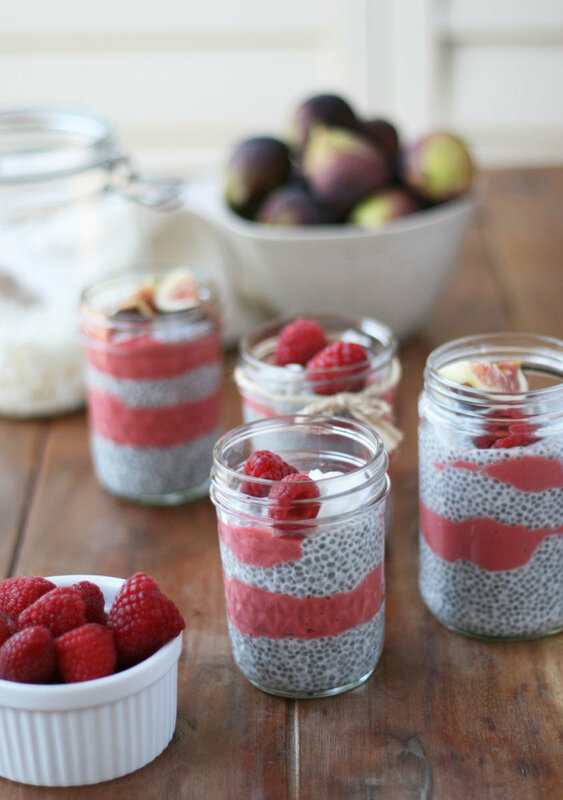 Due to the high amount of fiber found in the little seeds, chia can absorb up to twelve times their weight in liquid, which helps to create a gel-like pudding. Chia seeds also pack in omega-3 fatty acids along with omega-6s. Omega-3s aid in cell growth and blood clotting, while omega-6s help to reduce bad LDL cholesterol. 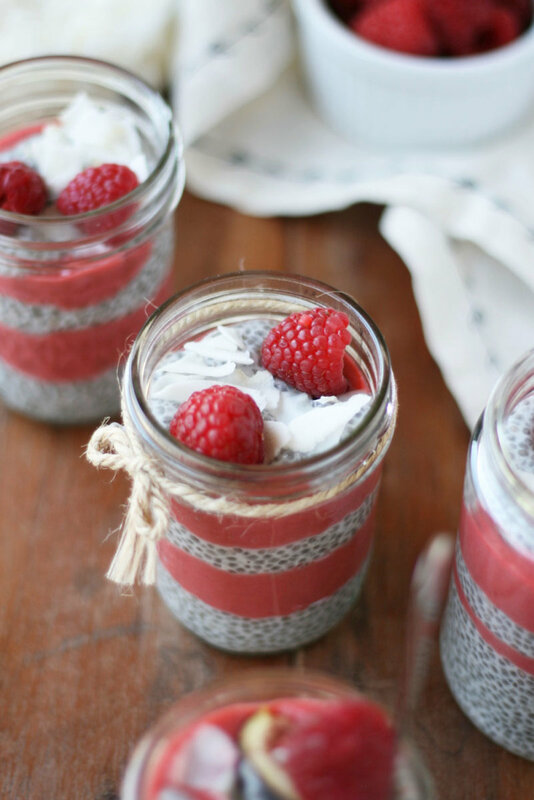 Along with an easy-as-pie chia seed pudding, this recipe also takes advantage of seasonal berries to whip up a creamy dreamy smoothie. Feel free to get creative with the berries you use; swapping out berries that are available in your area, such as blueberries, blackberries, or boysenberries. 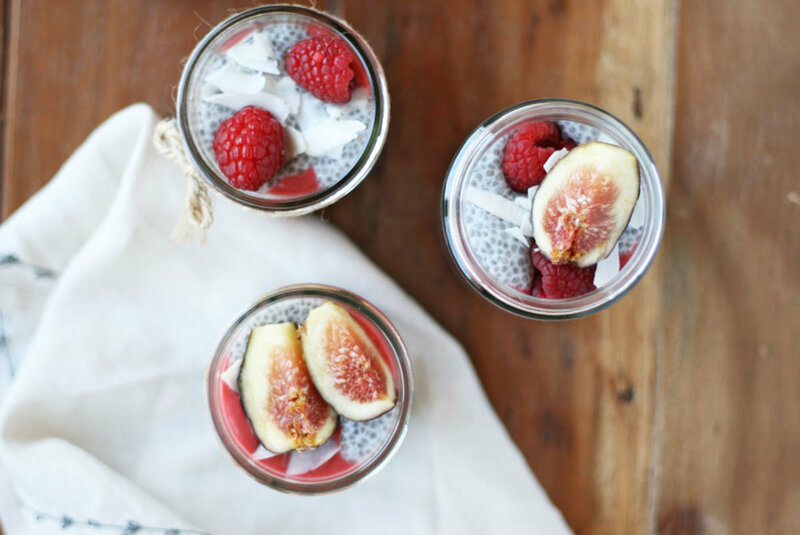 An easy-as-pie chia seed pudding recipe, that also takes advantage of seasonal berries to whip up a creamy dreamy smoothie. 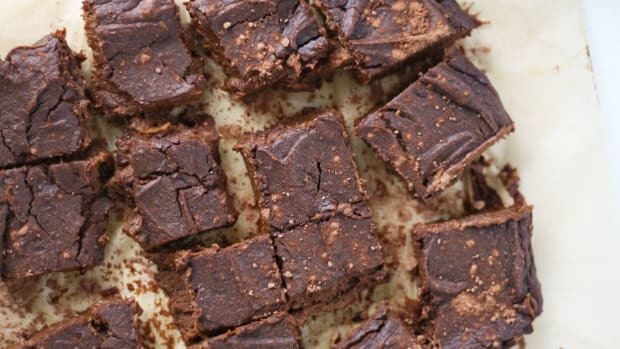 Enjoy pudding immediately or cover and store in the refrigerator for up to 2 days. In a bowl or glass jar, combine coconut milk, chia seeds, vanilla extract, and honey. 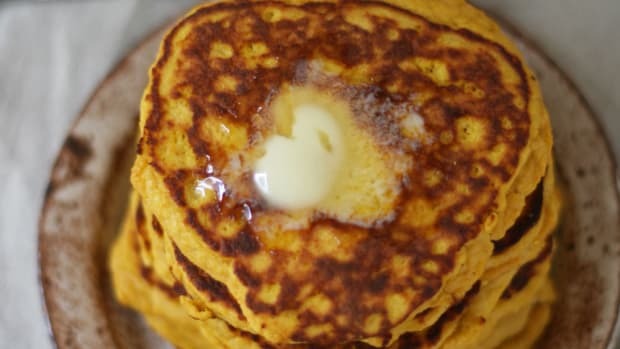 Whisk until chia seeds are completely submerged in milk and honey is mixed in. Let mixture stand ten minutes. Whisk chia seeds again to redistribute, cover, and refrigerate at least four hours or overnight. When ready to layer chia pudding, prepare the berry smoothie purée. 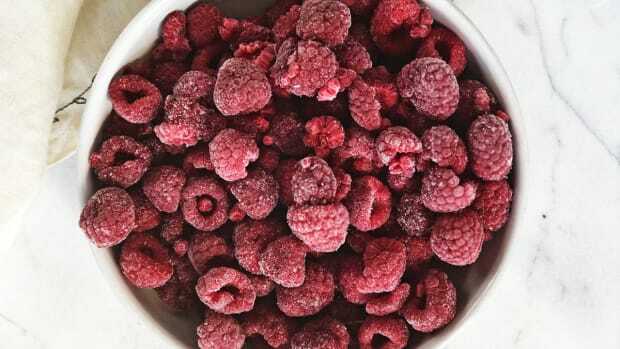 In a blender combine berries, lemon juice, avocado, coconut milk, and one tablespoon of honey. Blend on high until completely mixed. Add more honey to taste, if necessary. 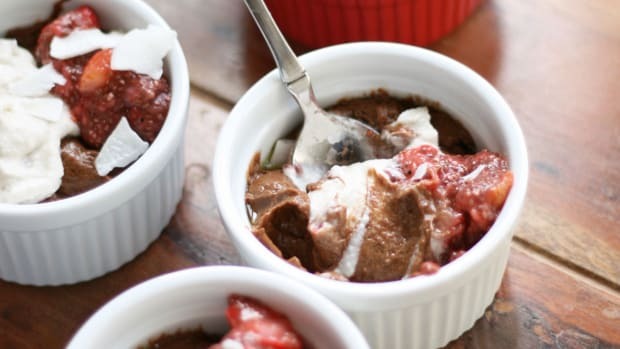 In four small mason jars, make the layered pudding. Alternate scoops of chia pudding with berry purée until both mixtures are used up. Garnish jars with additional fruits, nuts, or coconut flakes if desired.